The 10 Best Taco Places in Nebraska! For a quick lunch or flavorful dinner, there are dozens of terrific taco joints all over Nebraska. However, with so many amazing places to grab authentic tacos, it can be difficult to choose which one is best. Check out these 10 great taco places in Nebraska so you can spend less time hunting for the top spots and more time eating! For a quick meal or taco feast, make your way to R Taco where you’ll find a variety of choices and plenty of sauces to go with them. Warning: These tacos are packed with flavor! Taqueria Tijuana may be small and unassuming, but don’t let its size fool you. Here you’ll find authentic tacos made from fresh ingredients served with fast, friendly service. California Tacos & More is exactly what it sounds like. This taco joint is an Omaha favorite with a menu of “California” taco favorites and legendary margaritas to quench your thirst! If you’re craving tacos, then head to Super Taco in Lincoln for some seriously good grub. 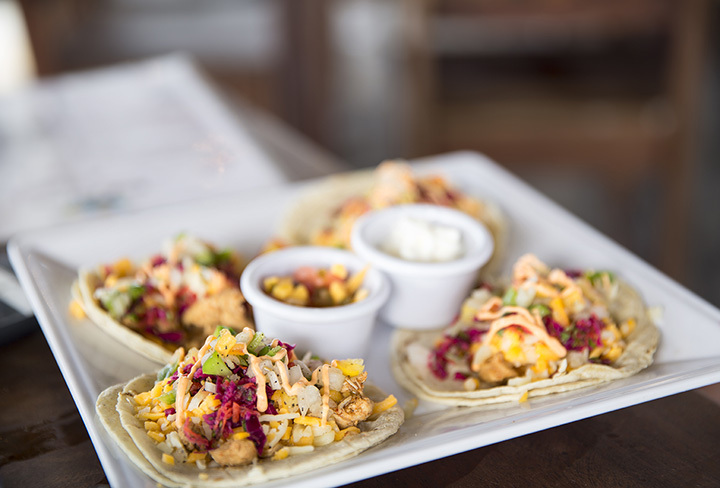 This casual spot serves authentic tacos with a variety of tasty sauces to go with them. Dos de Oros is one of the best taco food trucks you’ll find in Nebraska. Every taco is filled with perfectly seasoned meat, fresh toppings, and double wrapped in a corn tortilla. Track down Dos de Oros trucks in Omaha or Lincoln and enjoy a spectacular meal! Pancho Villa in Lincoln is a true hidden treasure. It has quickly gathered a following thanks to its excellent tacos served with beans, rice, and fresh salsas. Come for the tacos, stay for the friendly, laid back atmosphere. El Rancho in Omaha is famous for its authentic street style tacos topped with any meat you wish and fresh onion and cilantro. For the more adventurous eater, try the “lengua,” or tongue taco! For a quick bite, stop into Komal Mexican Taqueria in Kearney for some of the best tacos in the state. The menu features seven different types of meat and four sauces to take your taco flavor to the next level. Tacos las Palmas in Grand Island is another great spot to grab authentic street style tacos with a side of flavorful beans and rice. Enjoy an agua fresca with your tacos and leave this local favorite satisfied. For fresh, made to order tacos, La Casita in Omaha needs to be on your list. This unassuming taco place has everything you need when you’re in the mood for great food at great prices—especially on Taco Tuesday!